©Barry Sandland/TIMB – The fender may be the give-away, but this is a very nice, fast, Peugeot. Photographer’s notes: Have you noticed the rear fender? The giveaway… This really is a great colour. The Peugeot caught my eye and I had to stop. Small adjustments done and pending to make it more individual. But the lines and design show this is no slow machine. Sold from a small independent shop, it is a “fitness” bike, built for speed and comfort. 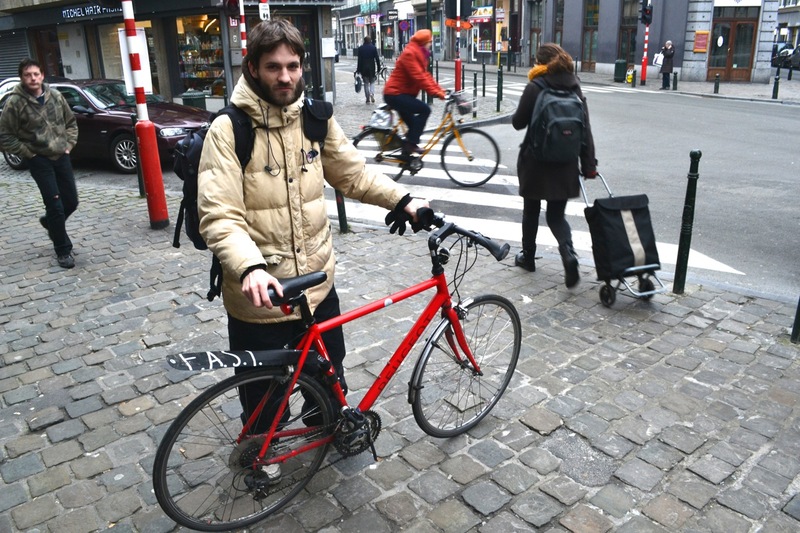 This entry was posted in bike messenger and tagged 2015, January, Peugeot. Bookmark the permalink.